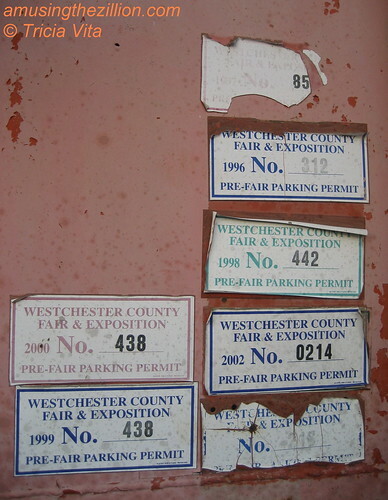 Conklin Shows played the Westchester County Fair for as far back as I can remember. It was one of Amusement Business’s top 50 fairs. An AB article about the fair’s cancellation noted Conklin “posted a record $1.5 million gross for the 2002 fair, which came in at No. 38, up four spots, in AB’s 2002 list of top fairs.” Yet I could find only a few ride photos on flickr, here and here. Perhaps because the demise of the fair predates the rise of flickr! Does anyone have any memories or photos of the fair they’d like to share? No mention of amusement rides, but I recall some wonderful old photos of a Bicycle Merry-Go-Round, sideshows and games in the Library of Congress Photo Archive. excellent post and photos. Thanks for providing more info back at my place..
Ken, I enjoy your photo blog of the Village & points south–ie Coney Island. We are fortunate to live in such a richly diverse city. Thank you for updating the title of your post to Save Coney Island!